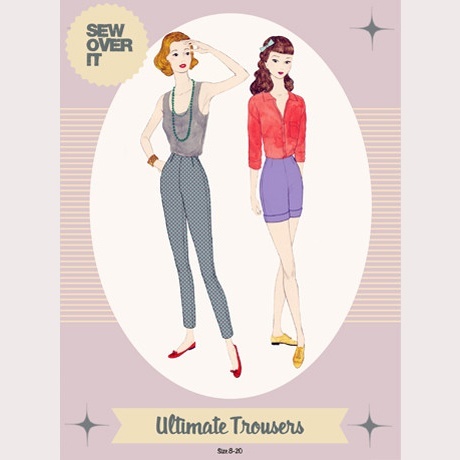 The Ultimate Trousers sewing pattern is the perfect choice for an advanced beginner who wants to delve into trouser making without any of the complicated or confusing techniques. With no tricky fly to contend with, the Ultimate Trousers fasten with an invisible side zip. 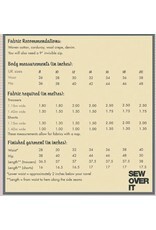 The waistline is finished with a facing and the trousers are machine hemmed. Made up of only four pattern pieces it’s hard to go wrong. 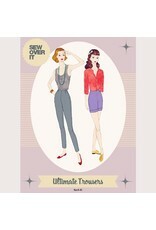 The Ultimate Trousers are an advanced beginner level sewing pattern. 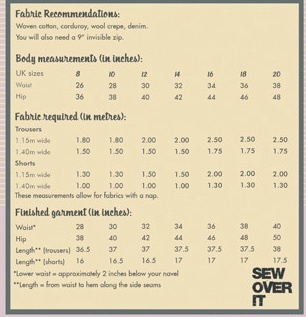 We recommend you have experience making a couple of garments, but there’s no need to have made trousers before. 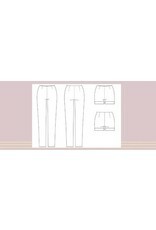 We recommend a medium to heavy weight woven fabric such as cotton, wool, crepe or denim for this pattern. Anything with a small amount of stretch (around 3%) will make for an extra comfy fit. For a loose, summery look you could also try rayon or other lightweight drapey fabric. You will also need a 9″ invisible zip.